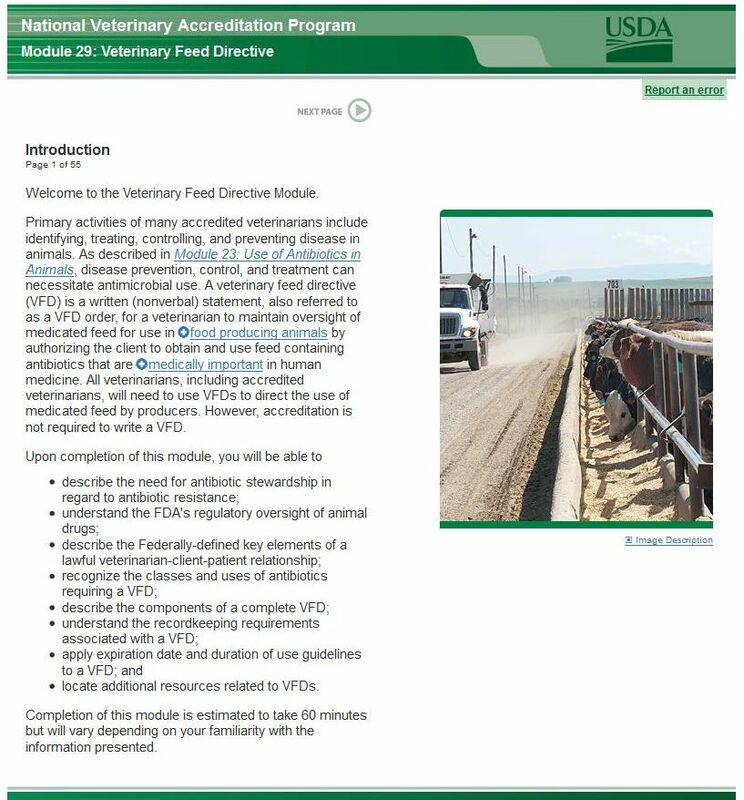 Answers to some of the questions posed at the Farm Foundation VFD workshops: FDA responds to industry questions on Guidance #213, revised VFD rule. When do these changes go into effect? For VFDs that are already marketed, the changes went into effect October 1st, 2015. The transition of products to VFD status must be complete by the end of December 2016. Until that time, products can be used as they have traditionally been. ​Will injectable medications still be available? 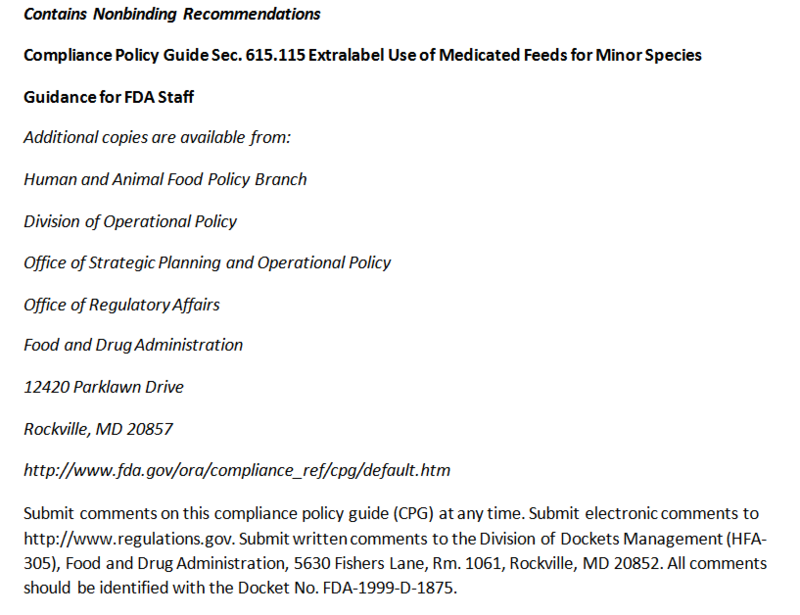 Yes, injectable antibiotics are not affected by these regulations. 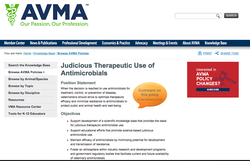 If an injectable antibiotic is available over-the-counter, it will continue to be available. Please note that in the state of California only, SB 27 will affect the over-the-counter status of medically important antimicrobials beginning January 2018. Will medicated milk replacers be affected? Yes, medicated milk replacers containing medically important antimicrobials such as oxytetracycline and neomycin will transition to VFD status. 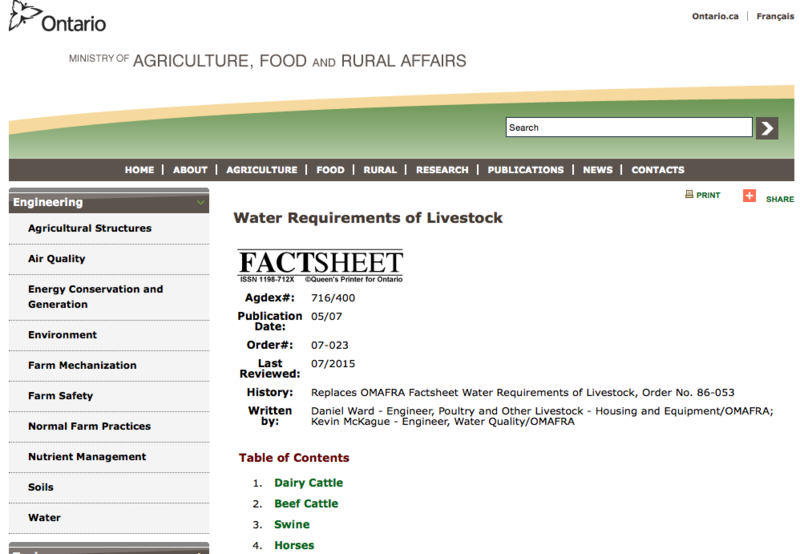 Products containing low levels of antibiotics meant to be fed continuously will likely become unavailable. Are there any provisions for the use of VFDs in small ruminants? Not at this time. Since it is illegal to use a VFD in an extralabel manner and no VFDs are labeled for use in sheep or goats, VFDs may not be fed to small ruminants. Will I be able to feed chlortetracycline medicated feed to my cattle for an outbreak of foot rot? No. This is extralabel use and extralabel use of VFDs is prohibited. 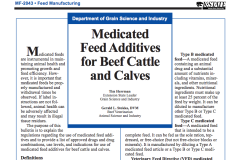 What happens to leftover medicated feeds with old labels after the regulatory effective date of January 1st, 2017? Can I use them? You will require a VFD to use them once the regulations go into effect. The old products do not need to be destroyed but can be used under a new VFD. 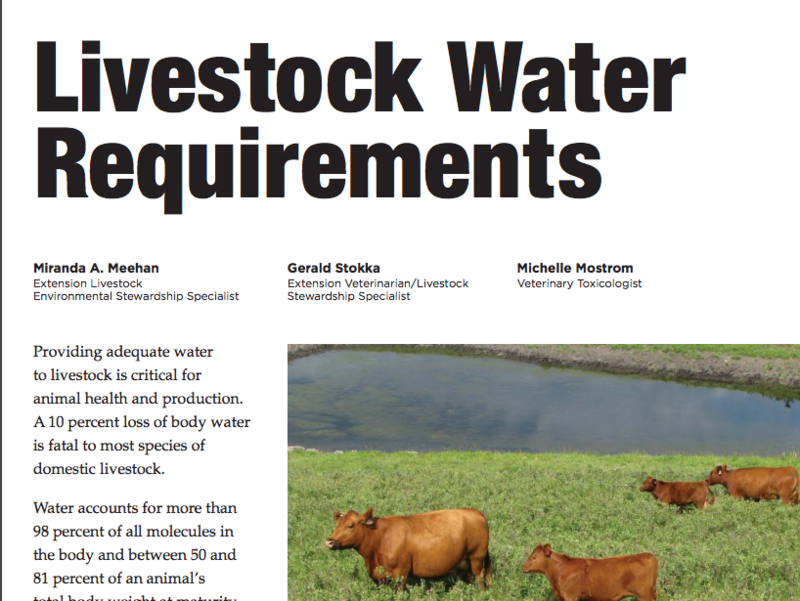 Can a veterinarian write a VFD for his own cattle? The following products will need to transition to VFD prior to the regulations going into effect on January 1st, 2017. 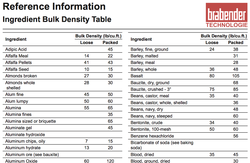 A more detailed list may be found on FDA's website. What products are not affected? 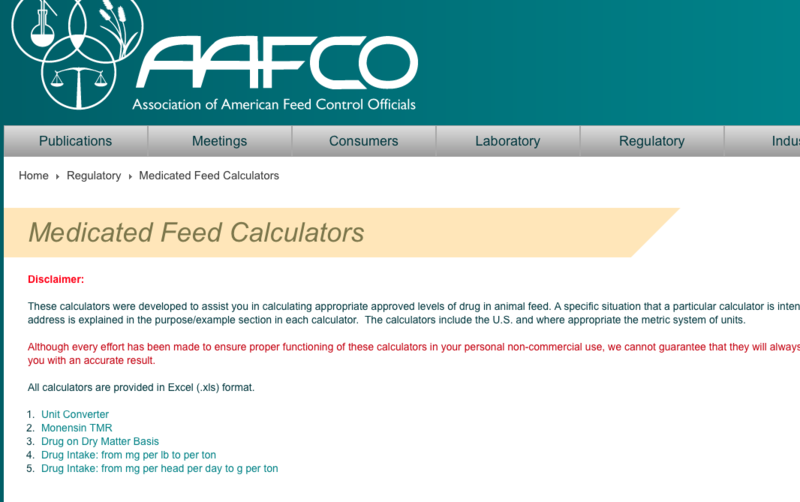 What happens if I have leftover feed when the VFD expires? 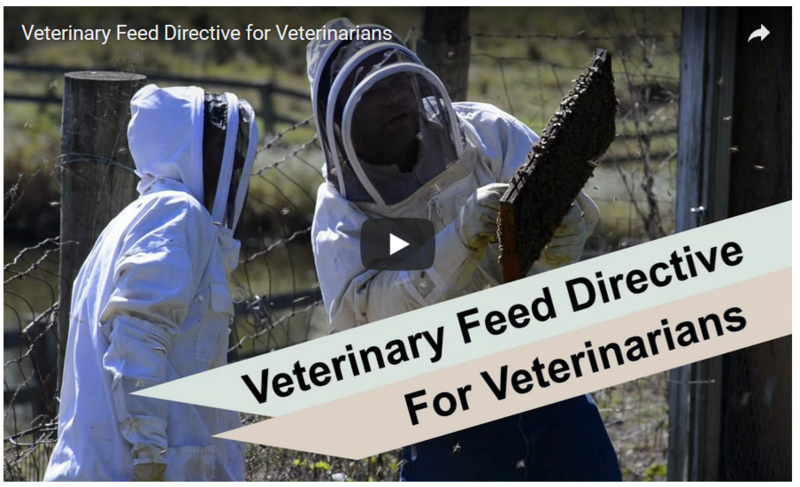 If a producer has leftover feed from livestock that no longer need antibiotics, the veterinarian can write a new VFD for another set of animals using the leftover feed/drug. CPG Sec 615.115. ELU of medicated feeds in minor species. View slides from the Davis, CA workshop below. A webcast of the Denver, CO workshop is also available. 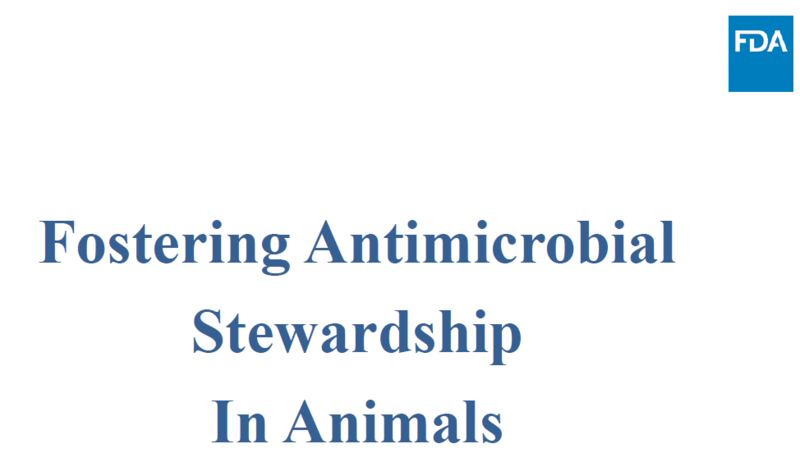 "Medically Important Antibiotics in Animal Agriculture": This presentation provides an overview of the changes regarding medically important antibiotics being made (GFI #209 and #213) and affected drugs. An overview of VFDs and the regulations pertaining to them. 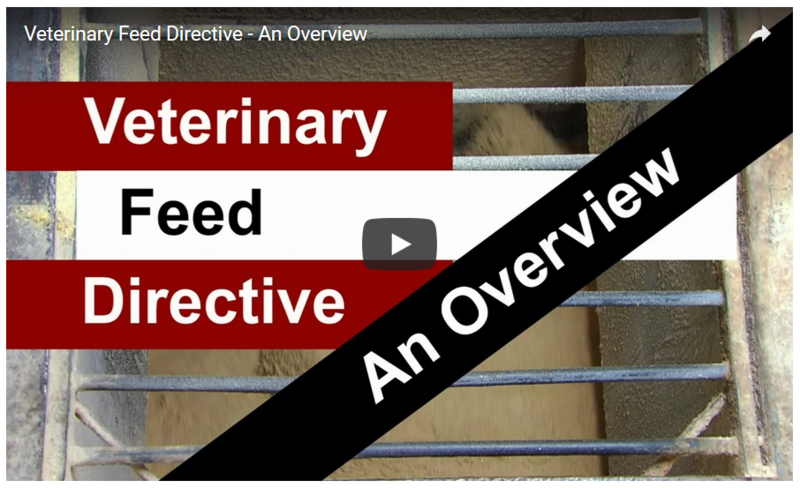 "A Veterinarians Perspective of VFDs": This presentation provides background on VFDs, what it means to veterinarians, the veterinarian's role, how the veterinarian can ensure responsible antibiotic use and implementation of the VFD regulations. 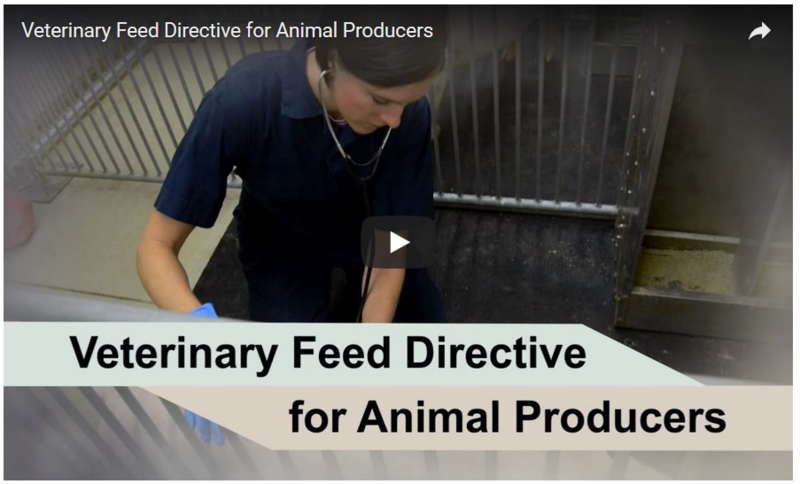 "The Feed Industry's Perspective on VFDs": This presentation provides an overview of the feed distributor's responsibilities in regards to VFDs, how to track compliance, how to educate and engage customers regarding the new VFD regulations.